Wines for our publication are blind tasted whenever possible in our office according to country of origin, wine type, and price category by publisher Ronn Wiegand. We also taste at trade shows and fairs, at wineries, and at other hospitality industry venues. We taste, but never review, tank or barrel samples. it is being used by the same taster on every wine reviewed (there is no rotating panel). Our rating system is based on the selling price in the USA for every wine tasted. We take case one, non-discounted wholesale prices from opposite coasts: East Coast western USA wines & imports from Australasia; West Coast for other imported wines and eastern USA wines. In order to establish a meaningful price/value relationship, several price categories have been established for each type of wine reviewed (except in a few instances, where we indicate only “1 Price Category”). Usually, four categories are identified–Low Priced, Medium Priced, High Priced, and Expensive–for most wine types or varietals. For each wine or varietal, wines from each price category are tasted separately. We then rate these wines based on the quality of each wine within its price category–relative to its peers. Because of this categorization, our ratings have little relevance if they are taken out of context; that is, when someone (unfortunately) suggests a four-star wine in a Low Priced category is “better than” a similar wine rated only three-stars in a High Priced category. That is not the purpose of the system. Therefore, any mention of Restaurant Wine ratings without mention of the price category in which the wine was reviewed is misleading and inappropriate–and, on our part, strongly discouraged. Other rating systems, which group inexpensive with expensive wines are not especially useful, since higher price wines are almost always given higher scores than lower priced wines. Because the crucial factor in wine purchasing is–and always will be–selling price, and how that selling price relates to the quality of the wine in the bottle, our system uncovers the best values in multiple price niches better than any other. the use of points reduces the taste and flavor of what is one of the world’s most prized and precious beverages to that of a detached, neutral number. We prefer using one of man’s most enduring, uplifting, and valued symbols for our reviews – stars. And unlike the 100-point scale, in which the lower end of the numerical spectrum (0 to 49 points) is rarely used, we routinely use all of our ratings levels, from 0 to 5 stars. However, we do not publish scores that are 2 stars and below, because we do not recommend these wines. One serious deficiency (out of many) with systems that rate wines on a single, absolute scale is that they have tremendous built-in biases. In addition to price-discrimination (mentioned above), they discriminate horrendously against so-called lesser varietals, lesser types, lesser regions – “lesser” everything – which the sub-90 point scores for dozens of wine types reflect. On the other hand, we have given deserving wines from white Zinfandel to Lemberger 5-star ratings, and will continue to do so when warranted. Finally, we believe that ratings awarded by panels of rotating tasters (or regular panels with tasters absent) are of little long-term use, since the panel’s ratings have no evident consistency which would then allow readers to see–and account for–personal or panel taste biases. At Restaurant Wine, we use a single taster, who “blind tastes” the majority of the wines recommended, as he has done for the past 30 years. That’s consistency. 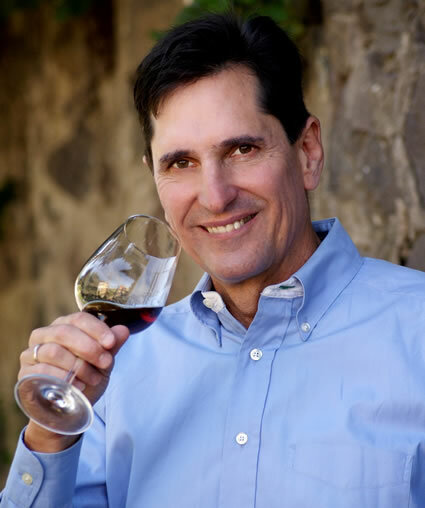 It should also be noted that Ronn Wiegand, Master of Wine and Master Sommelier, is a rarity among wine reviewers in the USA: He is credentialed. He is also the only Master of Wine or Master Sommelier in the USA who regularly publishes a wine newsletter. One other note: Wines we believe are flawed (bacterial spoilage, excessive volatile acidity), poorly made (too much oak, tannin, etc. ), and/or do not deliver “good” value for their price categories – or better – simply are not included in this publication. Only the cream of the crop (about 30%-35% of wines tasted) is written up in Restaurant Wine. For us, each and every one of them could easily enhance someone’s dining experience somewhere, if given the chance. We taste the types and categories of wine that are found in restaurants. That means wines sold in bottles, cans, kegs, tetra-paks, etc., from low- to high-priced, and from all major — and many minor — varietals and wine types, from Chardonnay to Furmint, and from Prosecco to Passito — from major producing countries. We enjoy bringing new varietals/producers and emerging wine regions to the attention of our readers. But we also strive to cover in every published issue (or issues). the ‘major players’ (countries, varietals, producers) whose wines are found on-premise throughout the USA.